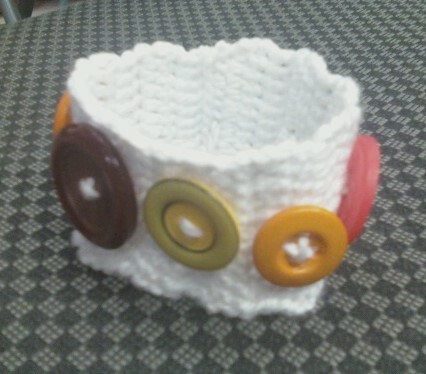 I made this crochet and button cuff today. Really simple to do and very customizable! I also finished the cowl from the other day, that will make it’s debut tomorrow!